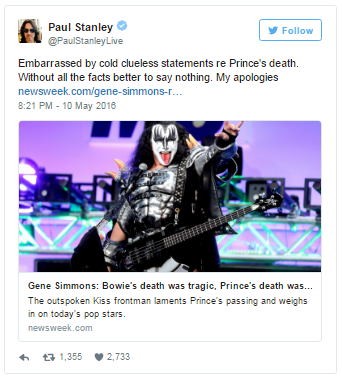 Kiss singer Gene Simmons has come under scrutiny following comments that refer to Prince's death as 'pathetic'. Simmons chose to compare his tragic demise to that of David Bowie. Simmons' Kiss bandmate Paul Stanley referred to the comments as "clueless". 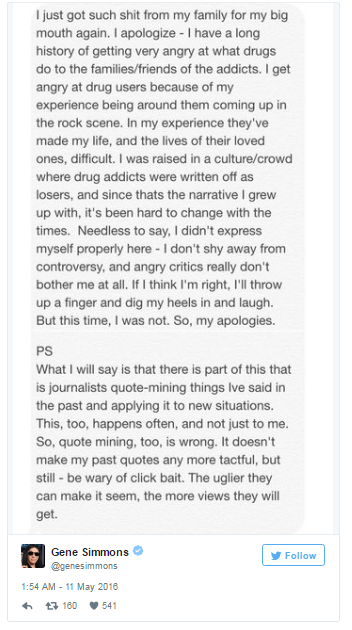 Simmons has since taken to Twitter to apologise for those comments.